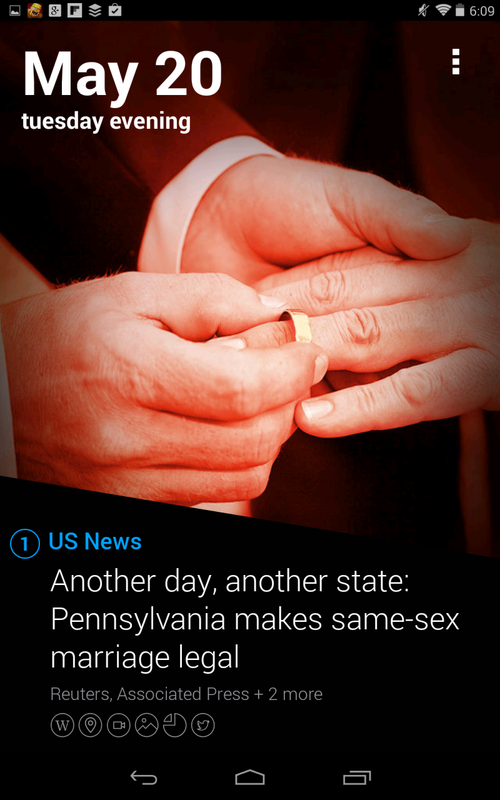 "Yahoo News Digest provides a definitive summary of all the important, need-to-know news. Digests are delivered twice a day - once in the morning and once in the evening. All the top stories are summarized and presented with the key information that you need to stay on top of what’s happening. 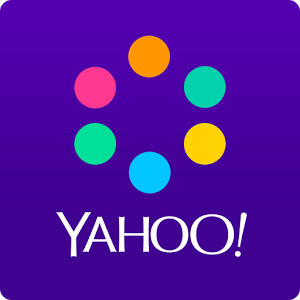 Yahoo digest is a news application developed by Yahoo. 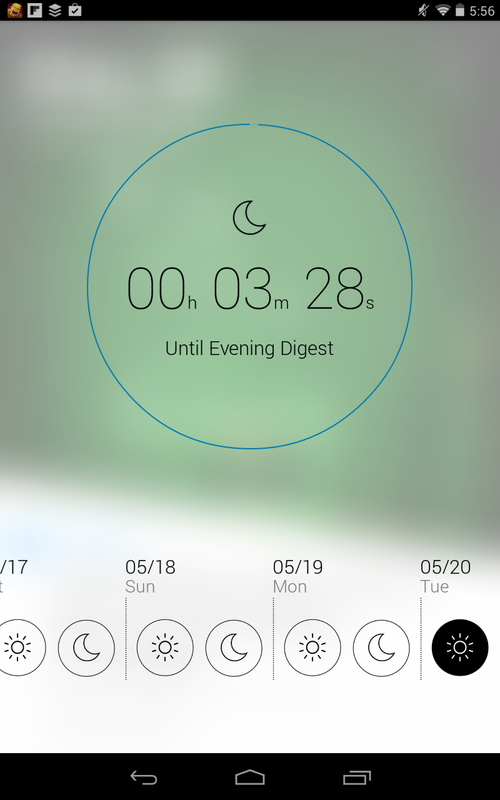 By default the app will deliver you news in the morning and in the evening. The UI is what most other news should be taking pointers from. Okay so I like this app but I find it hard to take seriously without the ability to customize the sources. 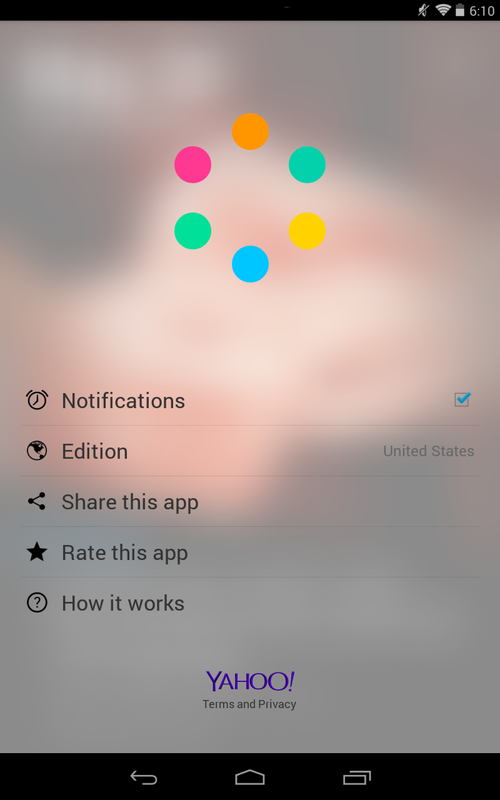 Granted it's not exactly a rss reader app but, you can't even customize the subject of news you will receive. Hopefully Yahoo decides to open up the app a bit more so those who like to customize their news can enjoy it more.